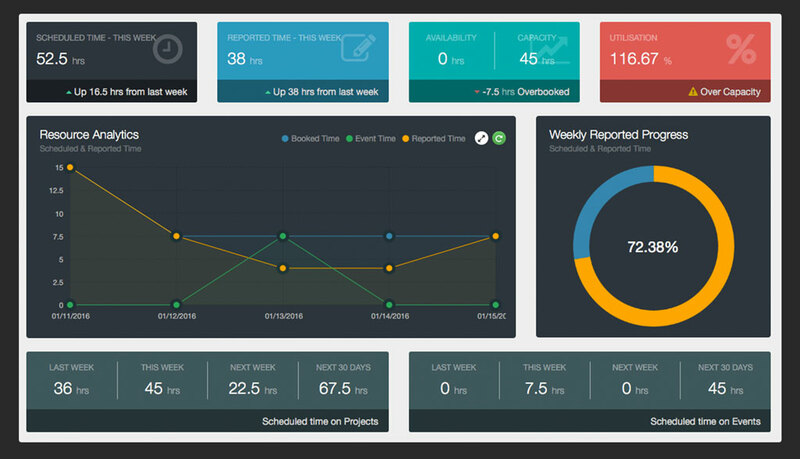 Two weeks into 2016 and Hub Planner is releasing one of the biggest updates to the platform to date. This update is packed full of new features and comes with lots of improvements to the UI, as well as many upgraded and newly added extensions to unleash the power of Hub Planner. Here is a breakdown of what you need to know about the new Resource Management Tools (Scheduler, Timesheets and Reporting) for for 2016. Is as well as get a grip on how much reported time you have contributed towards projects and events. 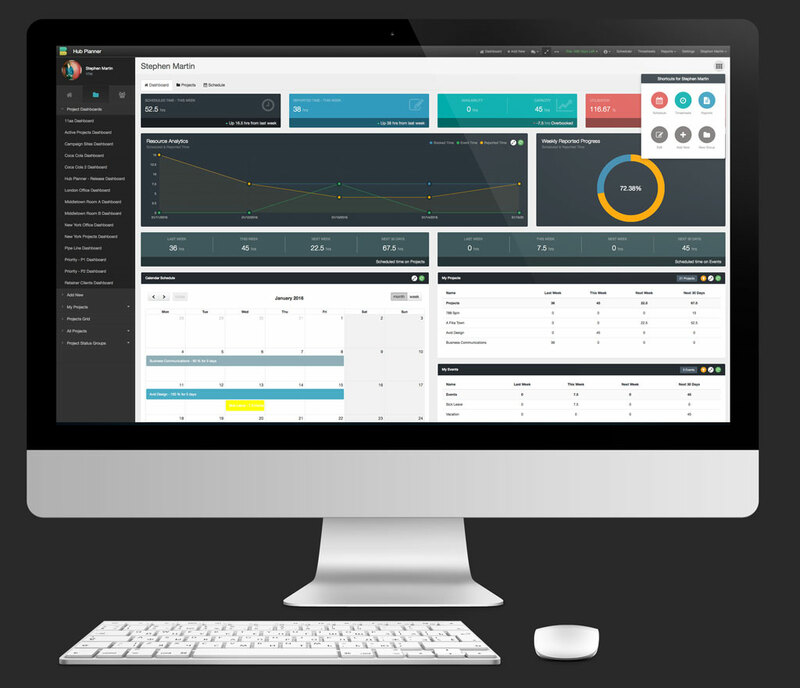 The Dashboard is your new home and we endeavour to keep upgrading it with more widgets and pods to make it your ultimate project and resource management destination. A complete breakdown on the dashboard can be viewed here. We are really happy about this feature. Before today, our rate system was good, but far from perfect, especially for those agencies and businesses with so many varying budgets and rates to deal with. 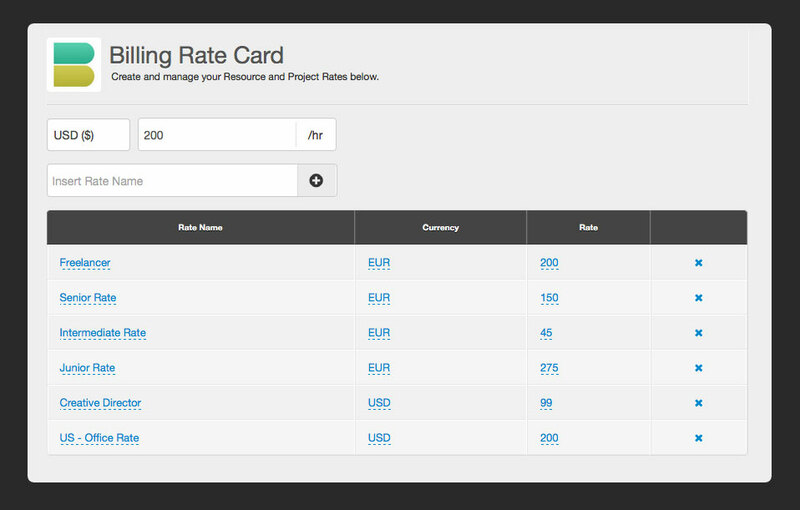 The new Billing rate card allows you to define rates in your company. etc etc. When you need to use a rate in a Project, then you can easily pick from a predefined rate making it much easier to handle your rates. Furthermore there is even more flexibility if you install the resource billing rates extension. 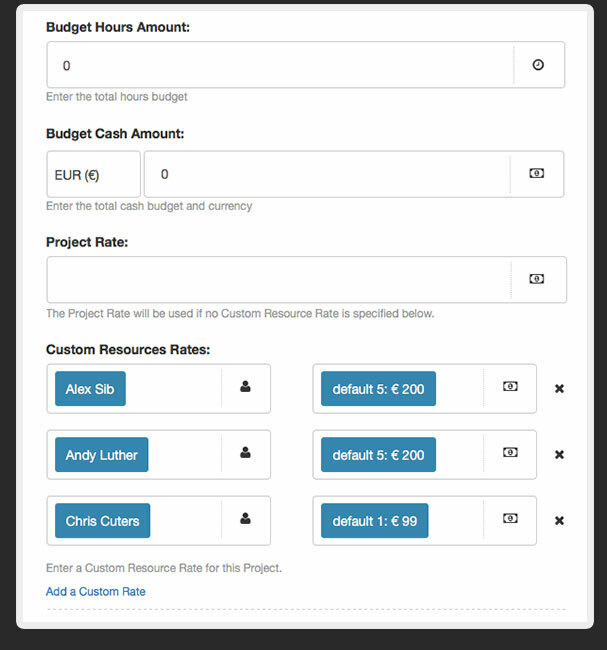 This new extension makes it really simple for you to assign multiple rates for a resource. There is a new field allowing you to pick a resource rate as standard. From the Project you then have the added flexibility to add resources to the system at a special rate other than what their standard resource rate is. The Project and Resource settings have been completely refactored with a new clean design and new coding behind the scenes. The design allows you to get a much better vantage point out of all the settings you can change or add to a resource or project during creating or editing. To save populating really long lists we have introduced new smart ways to pick from big groups but keep the height of the settings page the same. 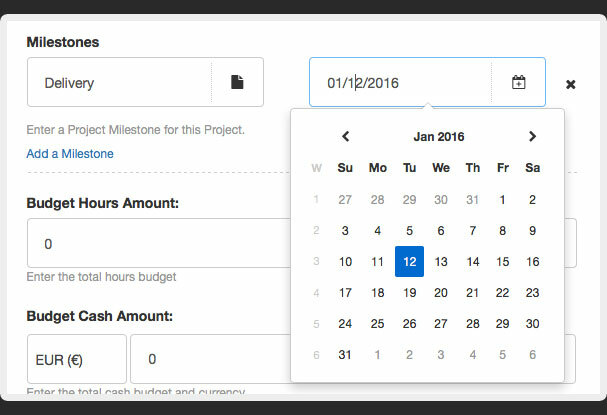 You can now add milestones inline when editing or adding a new project. For every Project and Resource you can add up to 5 links. We have helped identify these links a little better by adding an icon picker where you can pick icons to help you associate your 3rd party links with your project or resource. In previous versions we have relied on the Project Status to determine how some of the time is reported and treated on the scheduler. Now we have updated this to 2 checkbox options for every project regardless of the status of the project. Availability for Reports. – Time on this Project is counted towards a Resources Availability, Capacity & Billable Time. Availability on Bookings Grid. – Time on this Project is counted towards a Resources Availability. When you have now thumbnail on a resources, we have added an Initial Thumbnail which shows the initials of the resource instead of a placeholder image. New Project Milestone Events UI. These are all now displayed with a blue dot over the date. Clicking them will give the extra information you require. The role definitions have been added to. 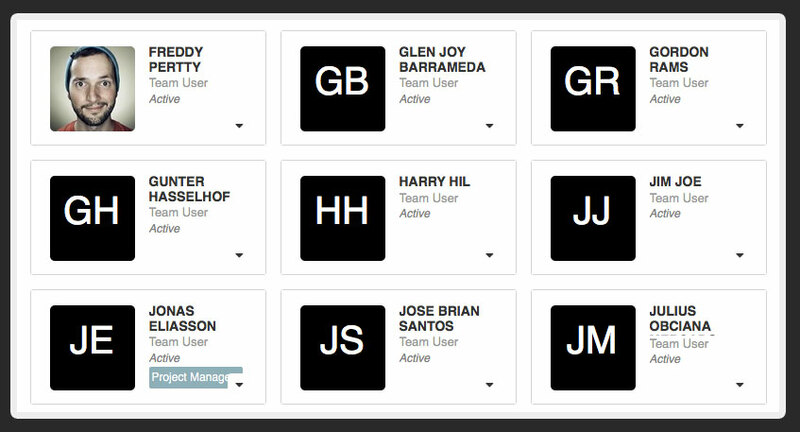 We have added many different role definitions to the role table allowing you more flexibility around the permissions. Well, yeah! That’s it for now, but we have a bunch more things on the list that are already in development. This is a really great release with what we hope is some amazing features to help you in your resource planning, project planning, business management and time tracking. If you have any feedback, thoughts or ideas, please let us know. A special thanks to everyone on Team Hub for all the hard work and creative thinking in getting this update out on time!